This category consists of a wide selection of paintings, photography, prints and sculptures. Here you can get acquainted with internationally renowned artists such as Pablo Picasso, Joan Miró and Marc Chagall, as well as well-known Swedish names such as Carl Larsson, Sigrid Hjertén and Isaac Grünewald. The assortment encompasses several art historical periods and shows the development of art. The Renaissance’s pursuit of a unified realistic imagery, the movement and asymmetry of Baroque, the different directions of modernism, the Expressionism’s search for expressing the meaning of emotional experience and the two-dimensional abstracts forms of Cubism. Welcome to Bukowskis’ art department! UNKNOWN ARTIST, 18th century, oil on canvas, unsigned. GUSTAF RYDBERG, oil on canvas signed and dated 1925. EMIL CARLSEN, oil on canvas, signed. WOLFGANG TILLMANS, inkjet print, signed, no 2/25+5 AP. JORGE CASTILLO, pigment print, signed and numbered III/IV. 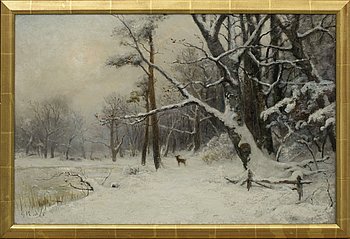 JOHN LÜBSCHITZ, oil on board, signed and dated -85. 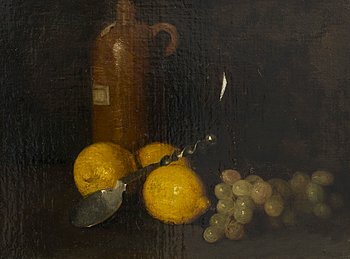 UNKNOWN ARTIST, early 20th century, oil on canvas, indistinctly signed. ANNA BLASCHKE, oil on board, signed. 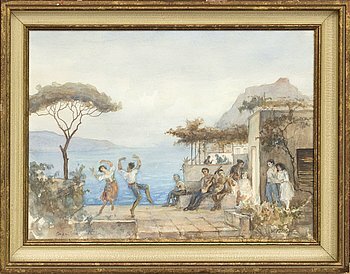 ALEXANDER PAISCHEFF, oil on panel, signed and dated 1931. TARU MÄNTYNEN, relief, plaster, signed and dated 1985. JARKKO ROTH, A granite sculpture, signed. MIKHAIL ALEKSEEVICH SATAROV, oil on canvas, signed. MAX SALMI, mixed media, signed and dated -60. NIKOLAI LEHTO, oil/mixed media, signed and dated -81. CARL LARSSON, etching, 1906, signed in pencil. LENNART ASCHENBRENNER, oil on canvas, signed and dated -89. ERNST NORLIND, oil/mixed media on paper-panel, signed and dated 1912. LEIF-ERIK NYGÅRDS, offsetprint, signerad, "Marilyn Monroe photographed in Los Angeles at Bel Air Hotel, june 27th 1962". C GÖRAN KARLSSON, etching and tempera, signed ea IV/IV. YRJÖ EDELMANN, colour lithograph, signed and numbered 144/150. JAN SIGFRID ALFONS CARLSSON, olil on panel, signed and dated -65. MADELEINE PYK, a portfolio with three colour litographs, signed and numbered. MADELEINE PYK, lithograph in colours, signed EA 11/25. THURE WALLNER, oil on canvas, signed. CARL JOHANSSON, oil on canvas, signed. CARL BRANDT, pastel, signed and dated 1902. CARL LARSSON, etching, 1898, signed in plate. From the ed of 425 unsigned. FFERNANDEZ ARMAN 45 lithographs with in one frame, signed and numbered 41/100. MARC CHAGALL, colour lithographe, unsigned, from Verve vol X nr 37-38. A photograph by ÅKE LANGE, depciting Ingrid Bergman, C-print, after, numbered 3/10. C GÖRAN KARLSSON, tempera on paper, signerad and dated -91. UNKNOWN ARTIST, 18th Century, oil on canvas. A pair of Susse Frères table sculptures, France, second half of the 19th century. MARIKA LANG, a set of 5 lithographs in colours signed and numbered 158/290. RICHARD MORTENSEN, lithograph, signed and dated 91, numbered 41/100. HOLGER PETER SVANE LÜBBERS, oil on canvas, signed and dated 1924. JACQUES CHARLIER, attributed to. Miniature, gouache on bone, signed. SVEN X:ET ERIXSON, oil on panel, signed and dated -44. A congratualtion card to the Artist Georg Pauli July 2 1935. RICHARD SMITH, mixed media/collage, signed and dated -80. CARL BRANDT, oil on canvas, signed. ED RUSCHA, lithograph in colours, signed 137/200. Dated 1975. ESAIAS THORÉN, gouache, signed and dated -44. HILDING LINNQVIST, watercolour with gouche, signed with monogram. ANTONI TÀPIES, carborondum etching, 1972, signed 48/190. STEPHEN BUCKLEY, etching in colours, signed 32/50. JOEL SHAPIRO, wood cut in colours, signed 17/40. Dated 1990. RAGNAR EKELUND, oil on canvas, signed. VEIKKO SIRÉN, oil on canvas laid on board, signed and dated 1990. EUSEBIO SEMPERE, serigraphs in color, numbered 32/100 and signed. BECK & JUNG, multipel, signed 1969 and numbered 5/30. ROLF NESCH, carborundum, signed dated and numbered 1 mars 1970 tiré pour l'artiste. JOAN MIRÓ, a lithograph in color, signed in print. Maeght blind stamp. TOR BJURSTRÖM, oil on canvas, signed. FERDINAND DIEHL, oil on panel signed. PAUL ARMAND GETTE, gouache signed. ALEXANDER DEMETRIUS GOLTZ, oil on canvas, signed and dated 1882. A pair of Unknown artist oil paintings on canvas. RAIMO VERANEN, acrylic on canvas, a tergo signed -92. 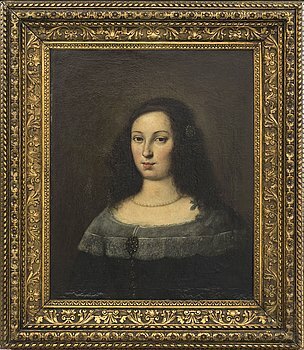 EKATERINA NIKOLAEVNA KATSHURA-FALILEEVA, oil on canvas, signed. TUOMO KLEMI, mixedmedia, a tergo signed and dated 1991-93. LENNART SEGERSTRÅLE, watercolour, signed and dated 1957. JUHANA BLOMSTEDT, gouache on paper, signed and dated -84. ANDERS ZORN, etching, 1911, signed. MAGNUS CREUTZ, oil on canvas, signed. BIRGER LJUNGQUIST, drawing in crayon, signed. EMIL EKMAN, oil on canvas/panel, signed. GERT MARCUS, oil on canvas, signed and dated 1957 verso. JULIUS GRANBERG, oil on canvas, signed. Probably executed 1887. BEVERLOO CORNEILLE, lithograph in colours, signed/dated -87 and numbered 148/150. JENS FÄNGE, offsetlithograph with collage, signed and numbered 194/450. ÅKE PALLARP, oil on canvas, signed. Dated 1963 verso. KAREL APPEL, lithograph in color, signed and numbered 60/75. BO BESKOW, oil on canvas, signed Beskow. ANTOINETTE VALLGREN, bronze, "Nini", signed. MALCOLM MORLEY, lithograph, signed and numbered 23/69. KARIN BROOS, giclée print, signed Karin Broos and numbered 17/90 in pencil. CARL JOHAN DE GEER, litograph in color, signed and numbered 76/290. 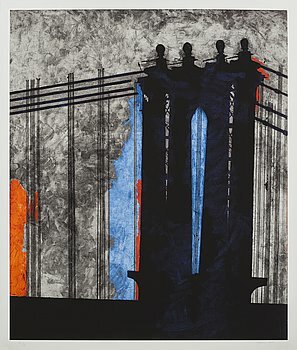 JAN HÅFSTRÖM, litograph in color, signed, numbered 1429/2000, dated 2003. CARL FREDRIK REUTERSWÄRD, mixed media on paper, signed. GUNNAR CYRÉN, sculpture zink, Dansk Designs, Japan. 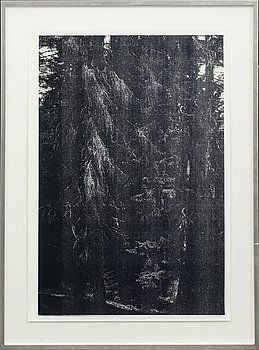 SVEN JÄRLÅS, silver gelatine print, signed. RICHARD MORTENSEN, lithograph, signed and dated 91, numbered 49/100. SALVADOR DALÍ, sculpture, green patinated, signed and numbered 249/300. OSCAR JOHANNESSON, sculpture, plaster, signed with monogram. TORSTEN ESBJÖRNSSON, oil on canvas, signed and dated 1971 verso. 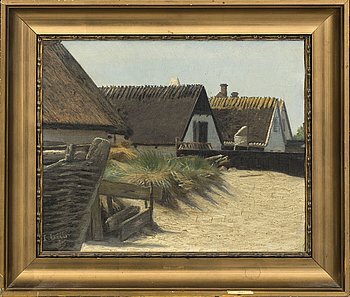 MATS NORRYD, oil on canvas, signed and dated -76. VALDEMAR PYYSIÄINEN, oil on canvas, fastened on board, signed and dated -66. HUGO BACKMANSSON, oil on canvas, signed Tanger. JOUKO HÄRÖ, watercolour, signed and dated 1989. SAM VANNI, serigraph 37/70, signed and dated -79. JAMES COIGNARD, carborundum etching, diptych, one signed and numbered 91/95. GONZALO ARIZA VELEZ, signed, oil on canvas. GUSTAV RUDBERG, oil on panel, signed and dated 58. ICONS, 3, Russia, 18/19Th Century. 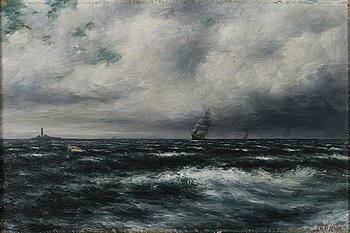 Tempera on panel.